A day is a dog year on the internet. 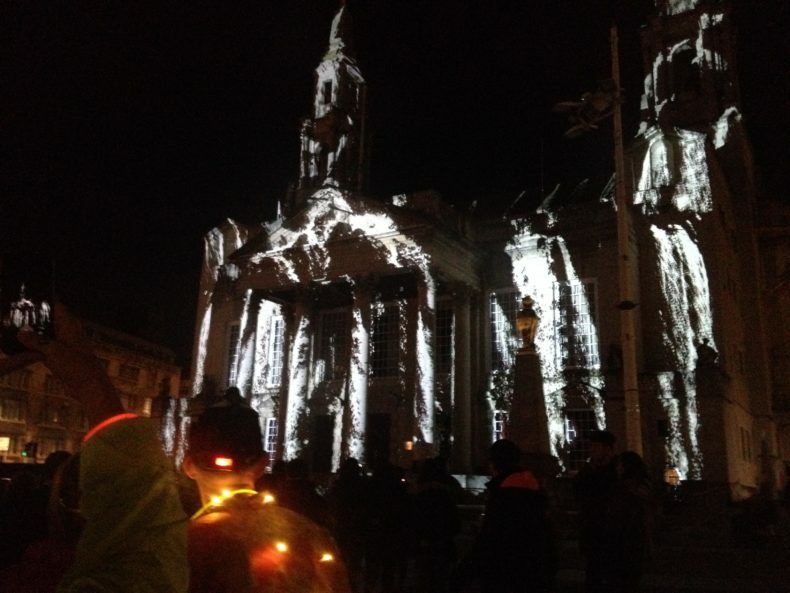 So it feels like a million years since our recent Light Night Leeds Art Run, when actually it was only a couple of weeks ago. We’ve been a bit distracted doing hynobirthing classes, running one of the luscious Hardmoors races on the North Yorkshire Moors and doing a photoshoot with the ace Simon K Allen. PLUS we didn’t take any photos ourselves on Light Night, as we were busy making sure that everything ran smoothly and that no one got lost, injured, run over or abandoned en route. This means we had to gather a few images from art runners who took part. 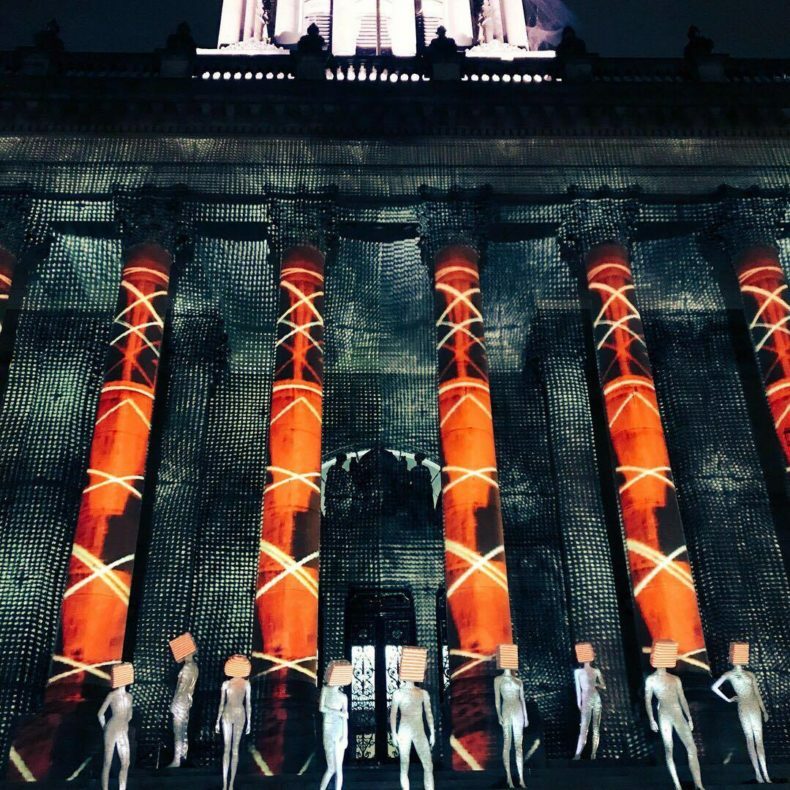 Our Light Night Art Runs, which we create in partnership with Space2, have become a fixture on the annual events calendar in Leeds. That must be because they attract the most good-humoured, fun-loving and slightly off-beam runners! It’s a run like no other – up to 200 runners all covered in neon and glowsticks, blowing whistles and shaking maracas. We run around, between and sometimes right through the middle of all the arty installations around the city on Light Night Leeds. What makes it so special though is that we all run together. 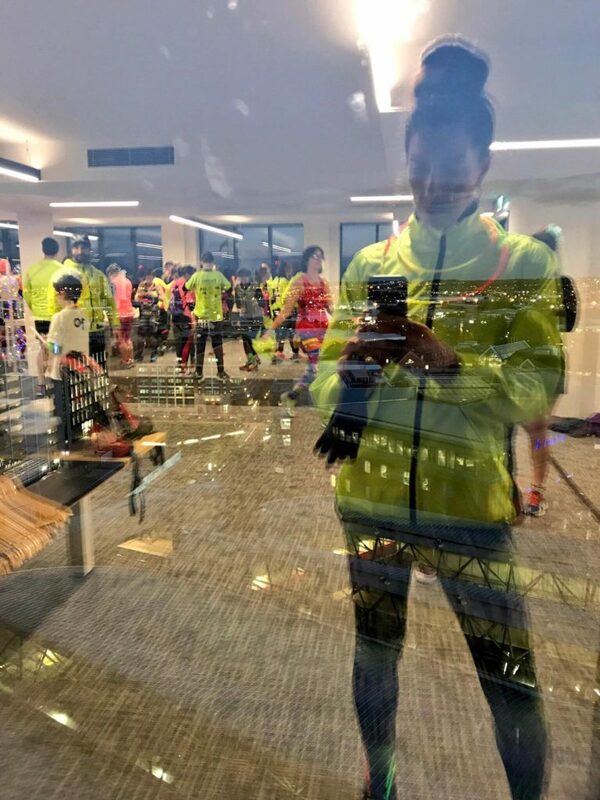 It’s not a race – it’s a steady 5k run, where all the participants get to both see the art and be the art. The joy on little kids’ faces when runners give them glowsticks or dayglo maracas as we pass is wonderful. The surprise the crowds get when they spot some neon runners, then some more and then some more in a near-endless stream is priceless. 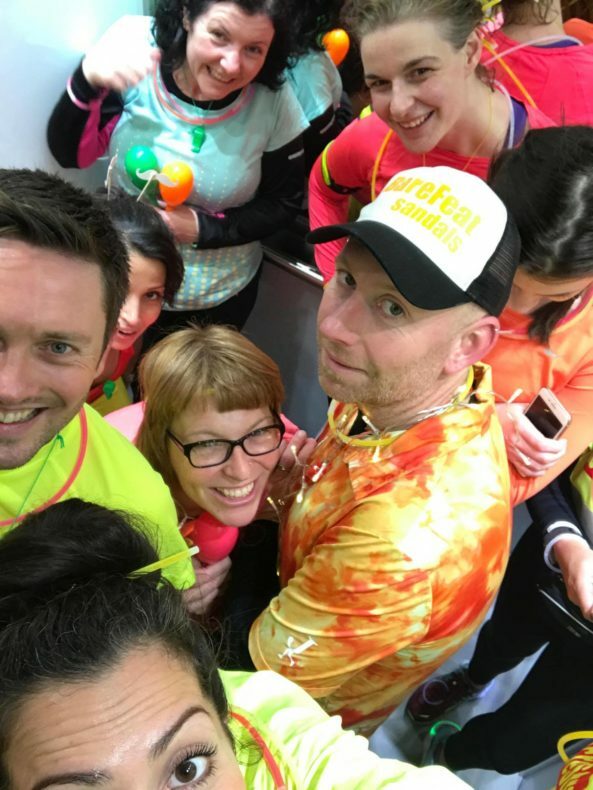 We plan the route carefully to ensure the runners see as much of Light Night as possible – if there’s a crazy art installation somewhere, we find a way to run to it, however big the crowds on the streets are. We work with an amazing team of qualified UK Athletics Run Leaders, who each look after a group of runners so everyone knows who has their back along the way. Then we play a massive game of follow my leader, with the groups running one behind the other in a great long snake of neon energy and enthusiasm. Missed out on the best running fun ever? No sweat – join our mailing list for updates on future fabulous fitness events!